It’s a potent but safe spice with anti-inflammatory powers. It grows wild in forests of Southeast Asia. It has been used for millennia, especially in Pakistan, Iran, China, India and Thailand. It is said to help treat inflammatory bowel disease, rheumatoid arthritis, cystic fibrosis. Turmeric is fairly inexpensive, easily added and mixed into your daily cooking habits and a great way to add some flavor into your dishes. We in India use turmeric for almost all dishes too. 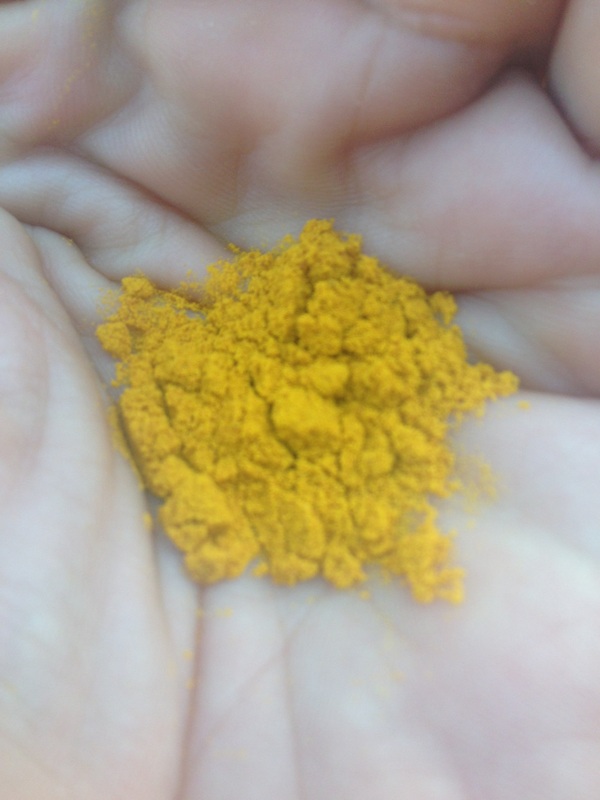 And turmeric and neem powder mixture makes a great anti-acne face pack.